Kristy Puchko: The Film Stage: The Possible Paths of Our Inevitable Destruction! 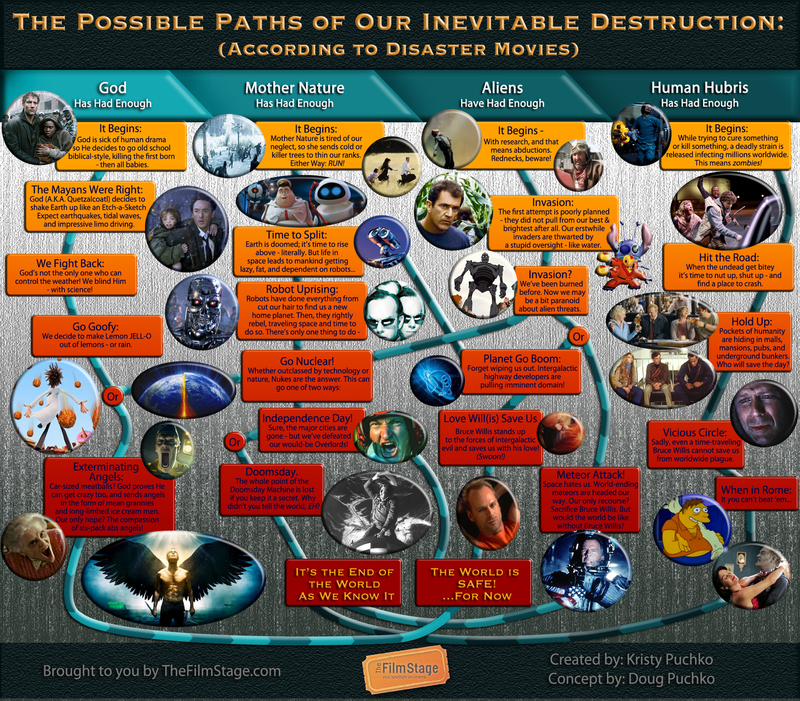 The Film Stage: The Possible Paths of Our Inevitable Destruction! First came Six Degrees of Michael Cera. Then Caged Brilliance debuted. Now, you can check out Kristy's latest movie-related infographic full size at The Film Stage. Special thanks to Doug Puchko for his part in its creation.